Uptake of biosimilars depends on clinicians and patients having confidence in the evidential basis of marketing approval. The aim of this systematic review was to assess the evidential role of randomised clinical endpoint studies in the marketing approval of trastuzumab biosimilars. We searched PubMed for any published reports of randomised studies associated with the five trastuzumab biosimilars approved by the EMA, as on 31 January 2019. We also searched ClinicalTrials.gov for any ongoing studies for other trastuzumab biosimilars. We identified eight published papers or abstracts for seven randomised clinical endpoint studies for five trastuzumab biosimilars approved by the EMA: four studies in the neoadjuvant setting and three in the first-line metastatic setting. Another six unpublished or ongoing studies for other trastuzumab biosimilars were identified via ClinicalTrials.gov. According to GRADE, and considered in isolation, the randomised studies would be categorised as low-quality evidence because of the use of surrogate endpoints and the small sample size. 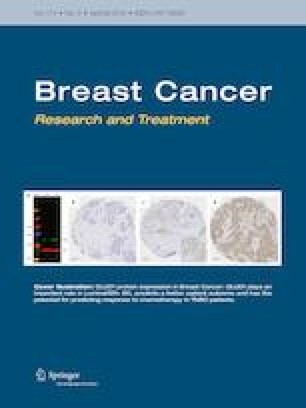 However, according to GRADE, the totality-of-evidence for each of the five approved trastuzumab biosimilars would be categorised as high quality in that further data would be unlikely to change the conclusion that each biosimilar was not different from Herceptin in any clinically important way. The pivotal data for each marketing approval was not the randomised clinical endpoint study, but the in vitro analytic characterisation. Regulatory confidence in in vitro analytic characterisation stems from years of experience with manufacturing changes for originator biological medicines. This emphasis on in vitro data, as the most sensitive way to detect clinically important differences, will be a new way of thinking for many oncologists. All the studies included in this systematic review were listed in ClinicalTrials.gov, which confirmed that written informed consent was obtained from all individual participants included in the studies.